Experience Dickens’ classic holiday tale like never before in this interactive walking tour performance of A Christmas Carol. 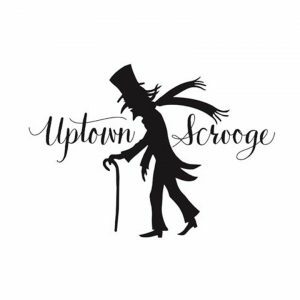 Uptown Scrooge is a theatrical performance spectacle that utilizes innovative storytelling, improvisation, music, puppetry, and audience interaction to share the story of Charles Dickens‘ The Christmas Carol. Guided through the streets and shops of Uptown Westerville by the Ghosts of Christmas Past, Present and Future, audience members go on Scrooge’s journey, experiencing the magic and wonder of his holiday adventure first-hand. A unique holiday experience for the whole family. Suitable for ages 6 and up. Approximately 90 minutes.